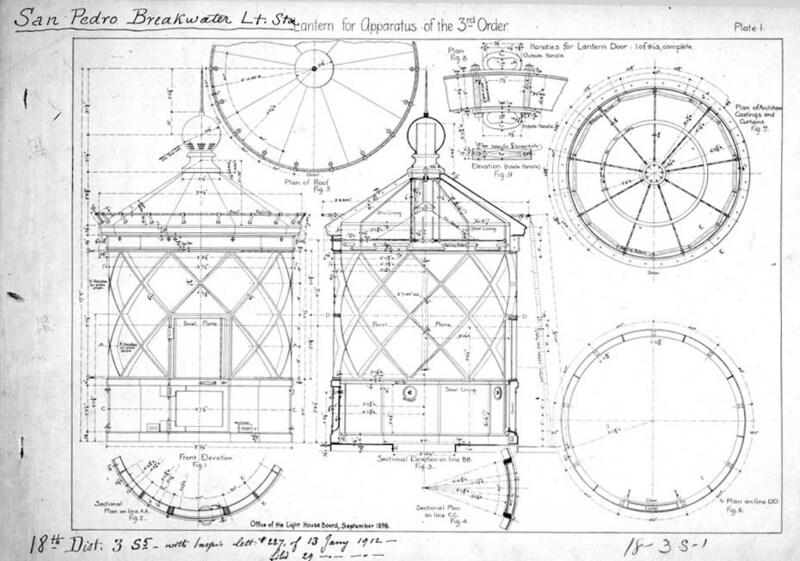 Documentation drawing completed by the Works Progress Administration (WPA) Historic American Building Survey (HABS). Click on image to see larger version. On June, 14, 2014, the Gateway National Recreation Area celebrated the 250th birthday of a National Historic Landmark. 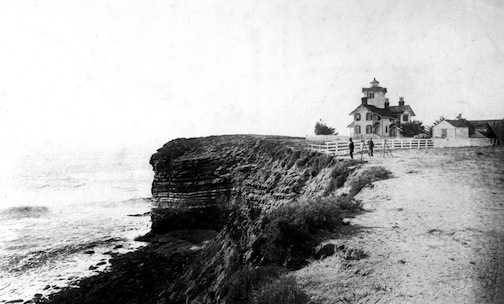 According to park historian Tom Hoffman, the Sandy Hook Lighthouse was lit for first time on June 11, 1864. “. . . it was one of only eleven lighthouses built in the thirteen colonies during the colonial era, but, as the years went by, the Sandy Hook Lighthouse literally stood ‘the test of time’ to outlast all of its contemporaries to become the oldest standing and oldest operating lighthouse in the United States.” Hoffman provided me with an article on the 250th anniversary of the light and I will share some of his history here. “Sandy Hook’s strategic geographic location at the entrance into lower New York Harbor made it a prime location for a lighthouse to help guides sailing ships safely around its tip and into the harbor. . . . 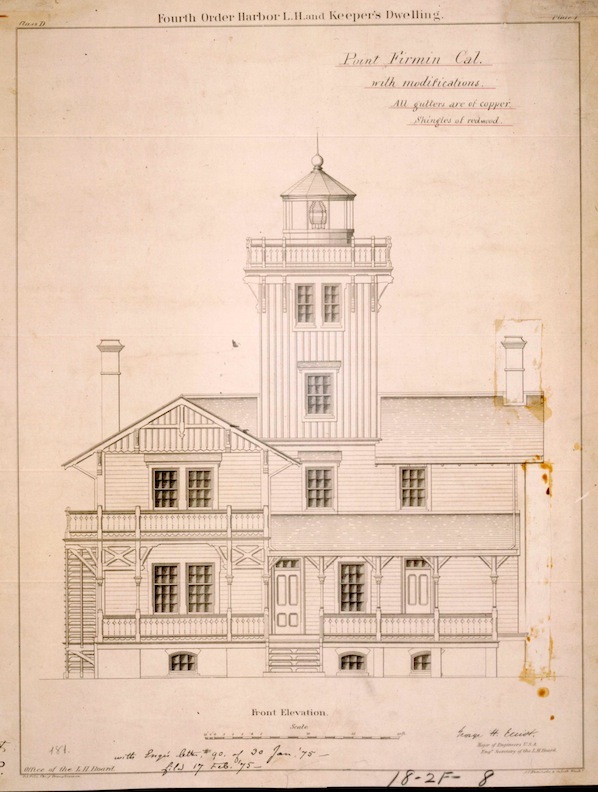 The catalyst that created the movement to build a lighthouse at Sandy Hook occurred during the winter of 1761. During the first three months of that year the merchants of New York lost 20,000 pounds due to shipwrecks which threatened their material wealth and financial resources. Due to their financial losses, forty-three merchants in New York banded together and, on March 13, 1761, sent a ‘Memorial’ (a petition of facts) to New York Lieutenant Governor Caldwallader Colden, President of His Majesty’s Royal Council of New York. 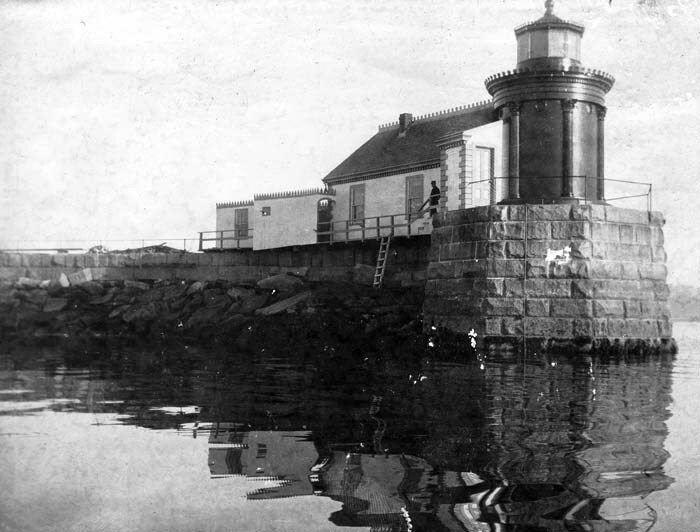 “The merchants urged Colden to recommend to the New York Royal Assembly that a lighthouse be erected at the north end of Sandy Hook, along with a house to shelter Sandy Hook Pilots (who, for a fee, safely guided ships into the harbor), the stationing of some whaleboats at Sandy Hook to transport the pilots out to approaching ships, and a small duty (tax) on the tonnage of ships entering the Port of New York. “. . . the merchants turned to Mr. Isaac Conro, a mason, builder, and seller of building materials in New York City, to build the lighthouse. 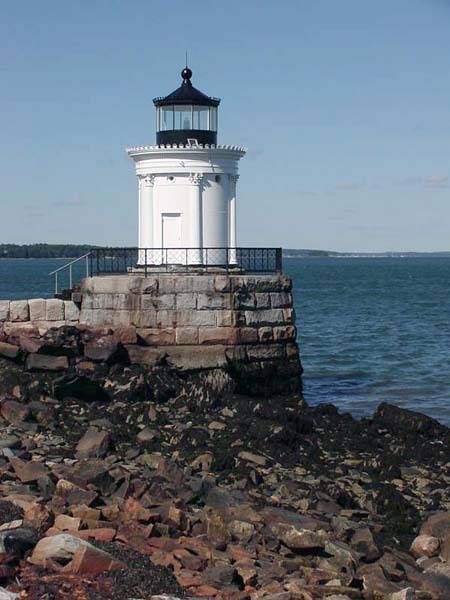 Since the deed was signed May 10, 1762, Conro probably had his labor force of blacksmiths, coppersmiths, artificers, and laborers, along with four oxen, one horse, two carts, and two boats at Sandy Hook building the stone lighthouse tower during the late spring and summer of 1762. . . . by the end of 1762 more money was needed to finish building the lighthouse. 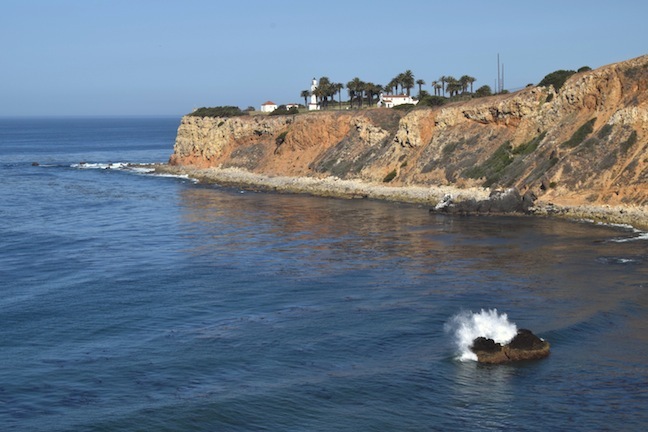 Given that the 1761 lottery raised 3,000 pounds, about half of that amount had to pay winning ticket holders, leaving the other half to buy the four acres of land and build the lighthouse and adjoining keeper’s house. 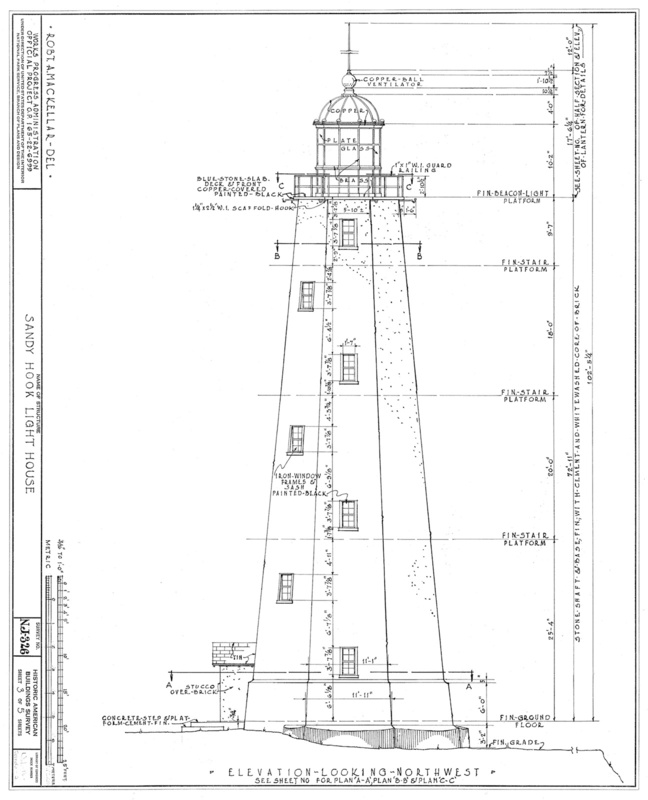 Since the four acres cost 750 pounds this left only 750 pounds for lighthouse and keeper’s house construction. Since addition funds were needed to complete the lighthouse the Colony of New York passed another act on December 11, 1762. The lottery was drawn in New York on June 14, 1763, and raised 3,000 pounds to complete the lighthouse. 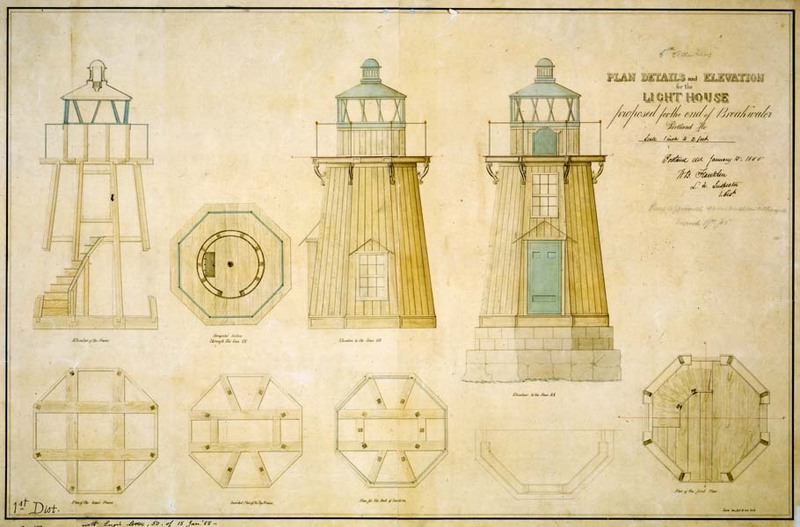 “The reference to ’48 Oil Blazes’ indicated that either brass or copper ‘spider lamps’, each containing a number of wicks in each lamp, and using whale oil, were employed to light the lighthouse. 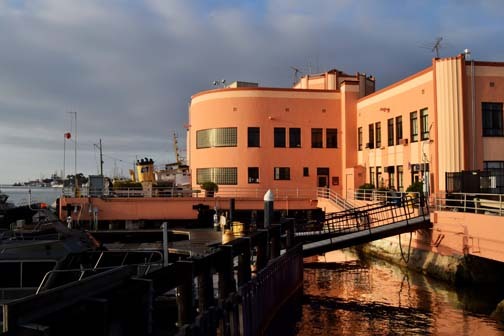 To pay for the upkeep, maintenance and operation of the lighthouse a three-pence per ton duty was imposed on ships using the channel into New York Harbor. 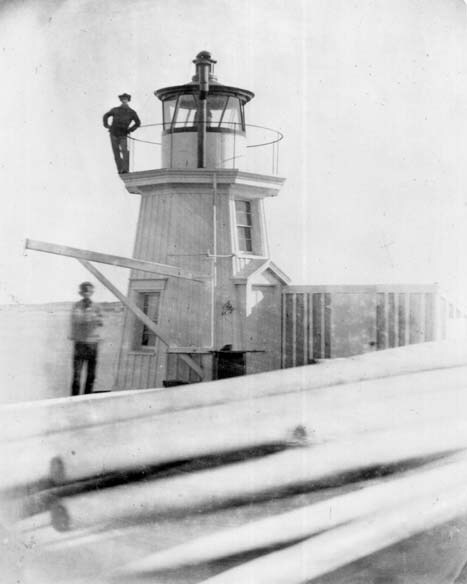 The operating costs of the lighthouse during the first two years of operation averaged 419 pounds per year, while the duty tax levied on ship tonnage averaged 451 pounds per year, making for a modest profit when it came to maintaining and operating the lighthouse. The lighthouse went on to guide many a ship in and out of New York Harbor after it was completed. On June 11, 1964, the 200th anniversary of the lighting of Sandy Hook Lighthouse for the first time, the nation bestowed a great honor on the lighthouse by designating it a National Historic Landmark. 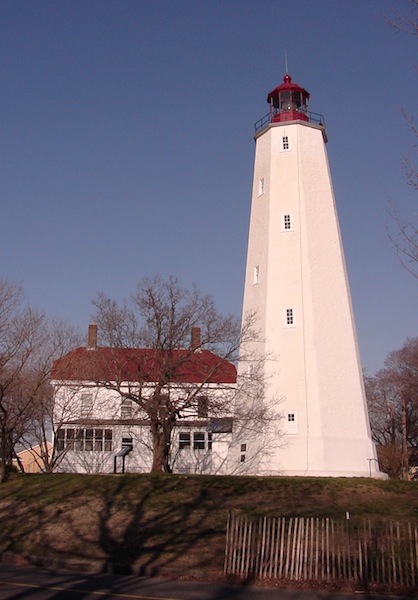 At some time during 1960 and 1964 Sandy Hook Lighthouse was automated with a timer switch. 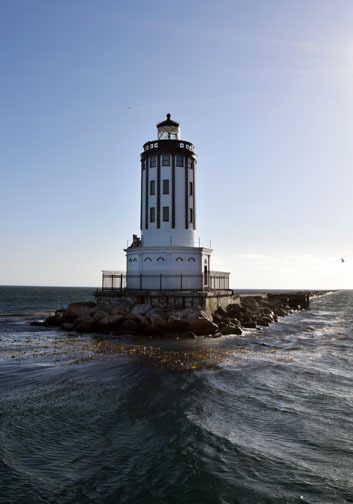 Even this was replaced in 1989 when the U.S. Coast Guard decided to keep the light on 24/7, since a modern day, commercially made 1,000 watt electric light bulb is rated to stay on continuously for one year, and they have been found by Coast Guard Aids to Navigation Teams (ANT) to stay on up to one and a half years. 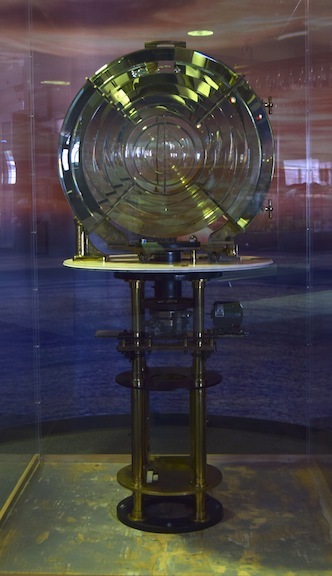 “In 1995, the U.S. Coast Guard officially transferred ownership of the Sandy Hook Lighthouse tower to the National Park Service, but still retained ownership of the 3rd Order Fresnel Lens (installed in 1857) and modern lighting system to maintain the lighthouse as an active aid to navigation. 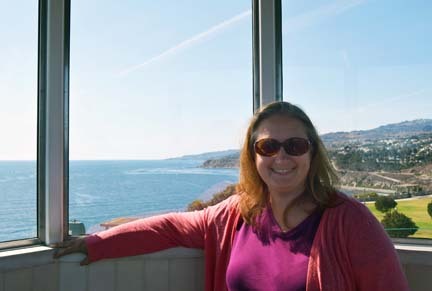 “In 1998 Congress appropriated $800,000 to totally renovate the Sandy Hook Lighthouse tower both inside and out from top to bottom. . . . 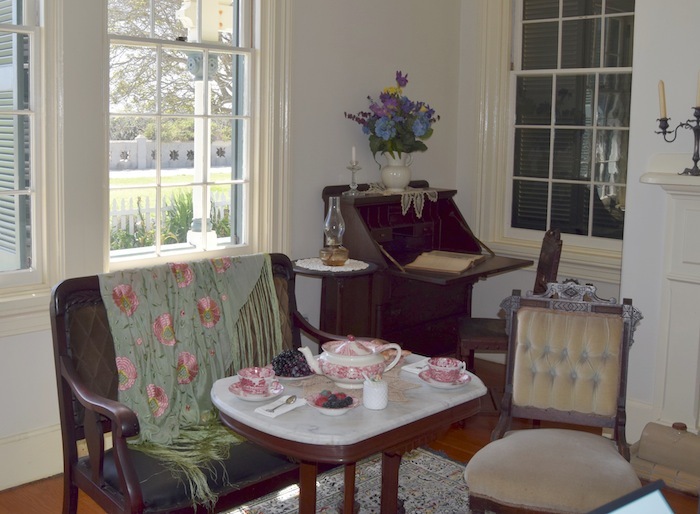 The old keeper’s house currently serves as the park’s visitor center and is open every day 9 am to 5 pm. 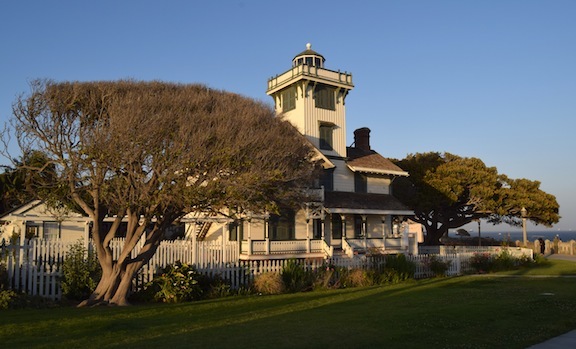 Free ranger and park volunteer lighthouse tours are presented every ½ hour, with the first going up at 1 pm, and the last tour going up at 4:30 pm. Children must be 48-inches tall to climb the lighthouse. Many thanks to Tom Hoffman for sharing his article. 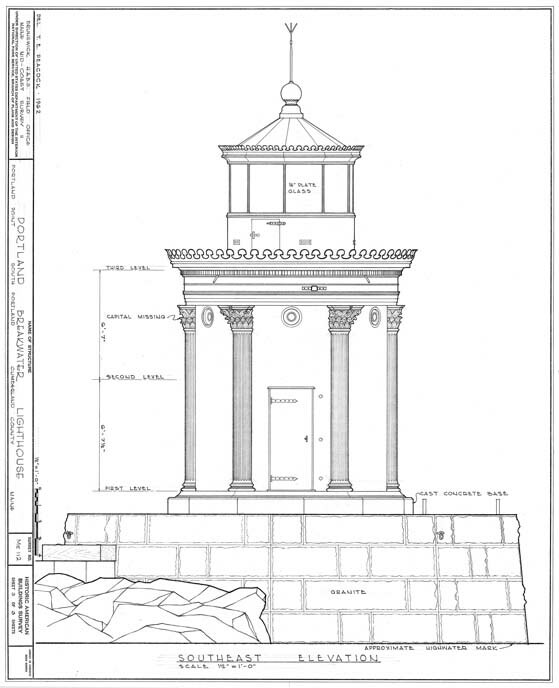 This entry was posted in Lighthouse construction, Lighthouse preservation and tagged Sandy Hook Lighthouse on June 15, 2014 by lighthousehistory.